The Bechdel Test asks if a work of fiction features at least two women who talk to each other about something other than a man. In Trust Fund women drive the story, as two sisters, played by Jessica Rothe and Louise Dylan, work out their differences, the relationship gets worse before it gets better. The younger sister is a free spirit, on a quest for self-discovery, but she is surrounded by a cast of strong grounded women. Including her publisher, played by Ana Ortiz, her father's assistant, played by Esther Scott, and her two girl friends that offer plenty of good advice, played by Kosha Patel and Louisa Mignone. It's surprising that this test wouldn't be passed by more movies. Women talk, we talk about a lot of things besides men. 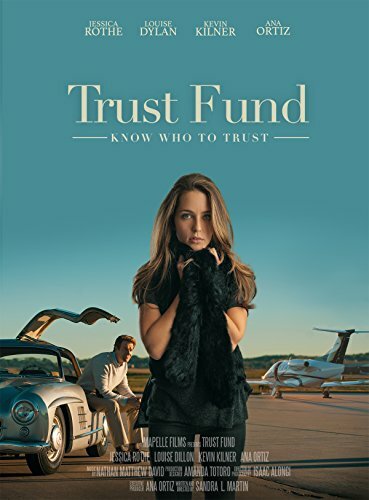 The women of Trust Fund are much like you and me. They talk about work, their family, their problems, their hopes, you get it, they're friends, colleagues, confidants, they're sisters.